I come from a big city with a big underworld under it. As a consequence of this, I am able to become slightly obsessed with other big cities with big underworlds. I want to know if they are in any way like my own. 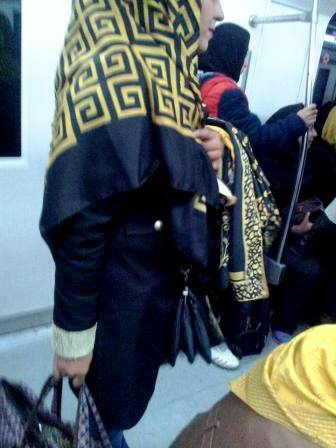 Tehran is another such big city, with a large and growing underworld. 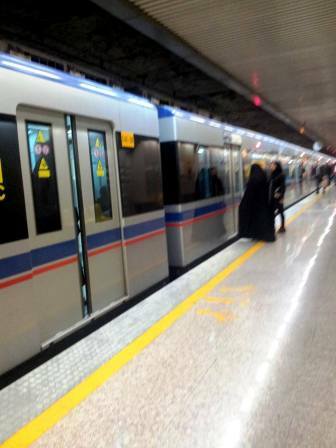 The Tehran Metro. 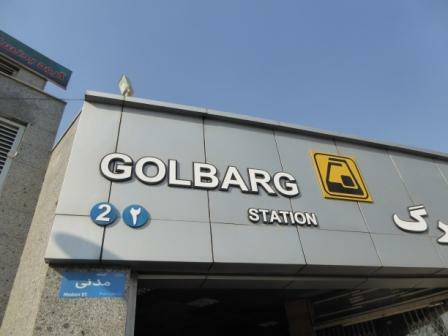 I can’t quite explain the frisson of excitement that I felt when I bought my first Metro ticket and set off, alone, for the adventure of a lifetime…otherwise known as the trip from Mayden-e Vali-e Asr to Golbarg. 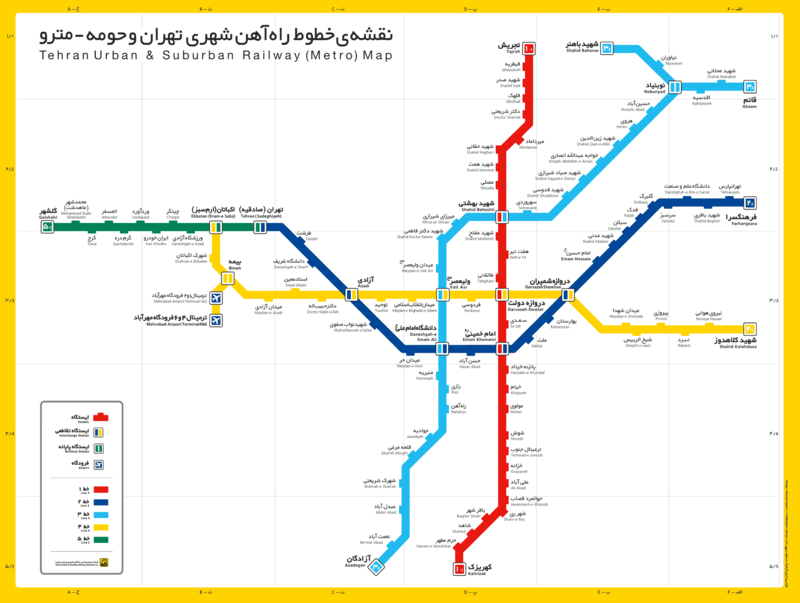 The first thing that you notice is that it’s just like any other urban metro system, anywhere you might go. There are tunnels and escalators, signs pointing in every direction, tube maps, advertising and people, people, people. 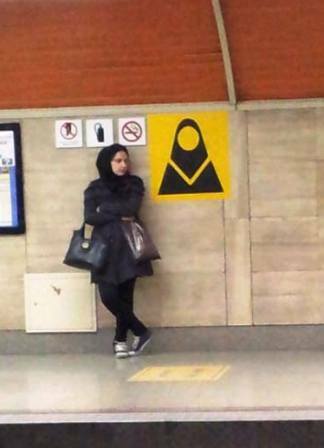 On the platform you notice a few things that are a bit more specific to the Tehran Metro. 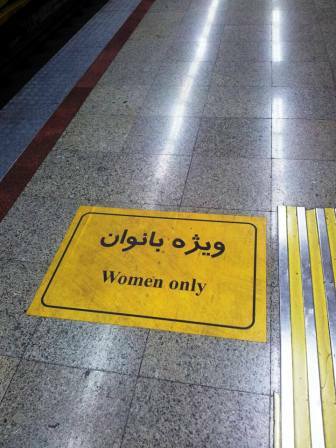 There are areas on the platform reserved exclusively for women. 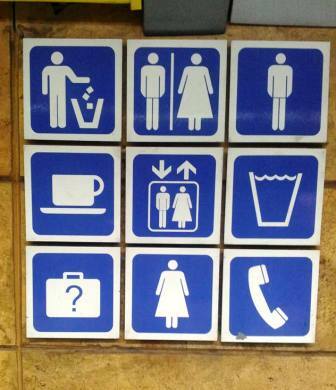 Signposted in Farsi, English and hijabi pictograms, just so you know. These correspond to women-only carriages on the trains themselves. 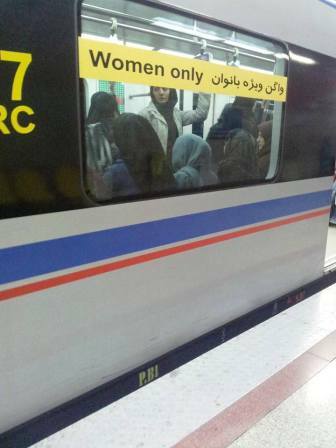 From what I can gather, women can travel in the other carriages with men but men just better stay out of the women-only carriages. As I was alone, I travelled in the women-only carriages and was fascinated to see how much buying and selling goes on. There are small businesses being run in these carriages, with livelihoods clearly depending on small-change trade. I didn’t want to be too blatant about taking photos, but it was riveting stuff so I grabbed a few surreptitious snaps on my phone. The saleswomen (and a few young boys) clearly had their sales patter off to a tee and made loads of quick sales of small items; cleaning cloths, small kitchen items like graters and sink tidies, sweets, make-up, scarves, socks, bras…wait…what?…BRAS?! Yep, very brightly coloured bras, for sale on the metro. Underwear on the underground. 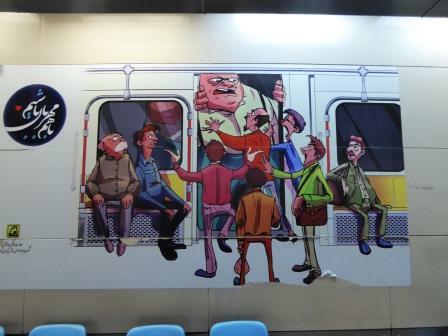 I’m guessing that this only takes place in the women’s carriages. At certain times of day, the metro is absolutely packed. Morning and evening rush-hours, of course, but lunchtime too. Perhaps lots of people go home for lunch. 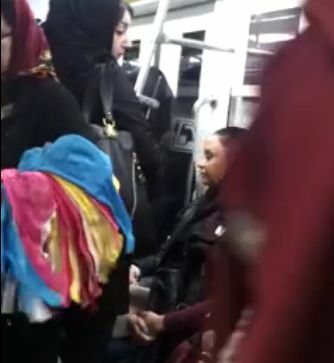 Business didn’t stop, even during the busiest periods on the metro. Even when the carriages were full to bursting, sellers still squeezed on with boxes and bags of stock and gave it a go. Cash was passed hand to hand along from the buyer to the seller, and goods passed back. Seriously, I could have watched this all day. However, I had places to go…more of which another time. 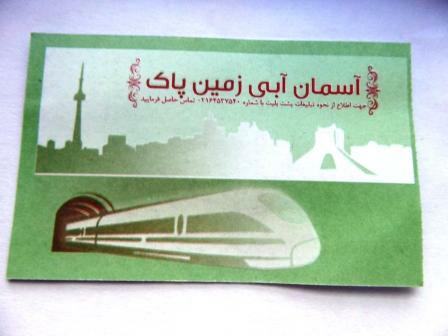 If you happen to find yourself in Tehran, do not miss out on the show that is the metro. It costs tuppence ha’penny and is well worth a look, even if you have nowhere in particular to go. 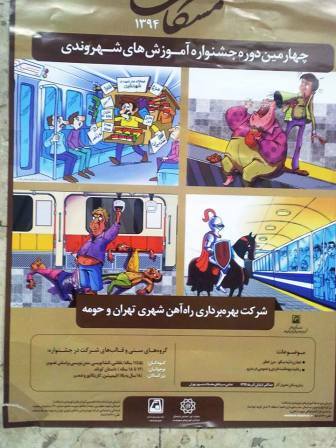 This entry was posted in Persia, The Big Wide World and tagged Iran, metro, Persia, Tehran, tube. Bookmark the permalink.